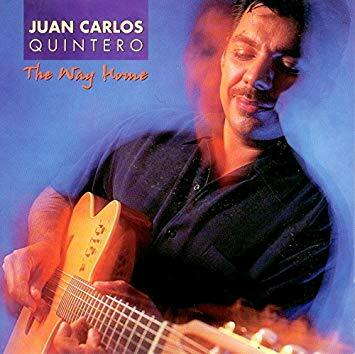 A native of Colombia, Latin jazz guitarist Juan Carlos Quintero began his recording career with two albums on Nova, a self-titled debut released in 1990 (remastered and reissued in 2000 by Native Language Music under the new title Medellin) and 1992’s Through the Winds, recorded with composer/arranger Todd Cochran, pianist Otmaro Ruiz, and percussionists Munyungo Jackson and Walfredo Reyes. Way Home appeared on the Size 11 label in 1997. Quintero has maintained a prolific release schedule during the new millennium with recordings including Los Musicos (2001), Los Primos (2003), two volumes of Guitarra de Pasión (2004 and 2005), and Las Cumbias…Las Guitarras (2006). The holiday outing Joy to the World arrived in 2007, as did the best-of collection Guitarra de Pasión, Vol. 3.